You say multi-purpose brush and I hit snooze and go back to sleep. I hate the phrase – it leaves me under the impression that the brush excels at nothing in particular so it’s lumped in the multi-purpose-face-brush-pile. So when reviews claimed that the SUQQU Cheek Brush was the ultimate powder, bronzer, contour and blush multi-purpose tool, I scrunched my face like a baby who’d been handed a lemon. I don’t want that. SUQQU Cheek brush looks like a lot of blush brushes on the market; it’s overpriced, hard to find, the reviews are mixed and I bought it. Why on earth did I purchase this brush? Curiosity, ladies and gentleman, is a force to be reckoned with. Hideously Expensive Cheek Brush skyrocketed to stardom when deity Lisa Eldridge nicknamed it the ‘kitten paw’, the softest brush evarrr. Her models smiled once it touched their faces… it became somewhat of a legend. …because it quickly became the love of my life. 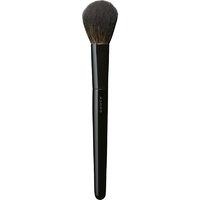 2) It offers less resistance than other cheek brushes. Aspect 1 will please everyone and aspect 2 is subject to criticism. The picture above depicts how the Cheek Brush flattens under it’s own weight, with no pressure from my hand at all. The issue that many people have with brushes that lack resistance is that they fail to deposit much product/colour, this is 100% true with regards to this brush. Don’t get me wrong, it is by no means floppy and it does have a bit of spring, but it will fold around the contours of the face (unlike other brushes that hold their shape and drag on the skin). An example may help. Let’s say you have a sheer blush, would you opt for the SUQQU tool? Probably not, you’d be underwhelmed. Now let’s suppose you’re working with a red blush or a Guerlain Bronzer, this is where the SUQQU’s performance shines- it blends as it applies, leaving a soft and diffused appearance. The application of any blush/contour/bronzer becomes foolproof, not even a monkey would find themselves with blotchy blush application (should a monkey decide to wear blush). I personally don’t use it for highlight as I prefer a small and strategic placement of highlighter, but I imagine many would like it for that, too. 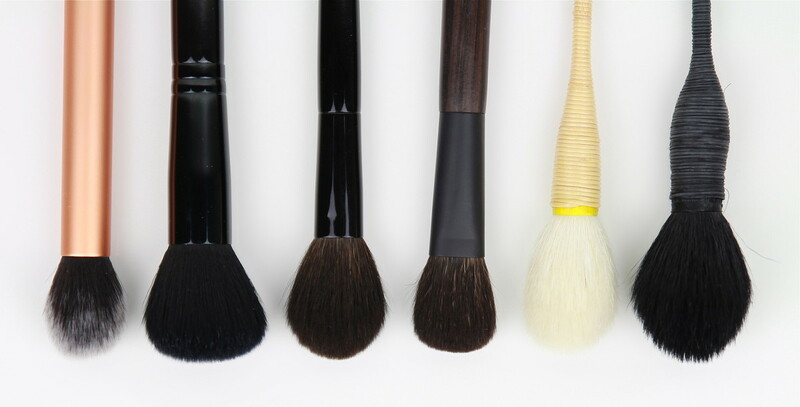 Left to right: Real Techniques Contour Brush, Illamasqua Highlighter Brush, SUQQU Cheek Brush, Hakuhodo Eyeshadow L, Hakuhodo Medium Yachiyo and NARS Yachiyo. In terms of how SUQQU Cheek Brush compares to other brushes in my collection, it’s like comparing apples to oranges. Definitely on the smaller side, with a slightly flattened footprint, it bears no resemblance to my other brushes and I’ve placed this picture here merely for size and shape reference. It’s softer and offers less resistance than all the brushes pictured above. If I had to liken it to anything, it would be the Hakuhodo Eyeshadow L (as every other brush has a round footprint), but it would be a silly comparison, really. SUQQU Cheek Brush is comprised of Grey Squirrel and the quality of mine appears to be wonderful; no shedding, washes well and retains shape after washing. I purchased it off Ichibankao for 18450JPY or 186USD. 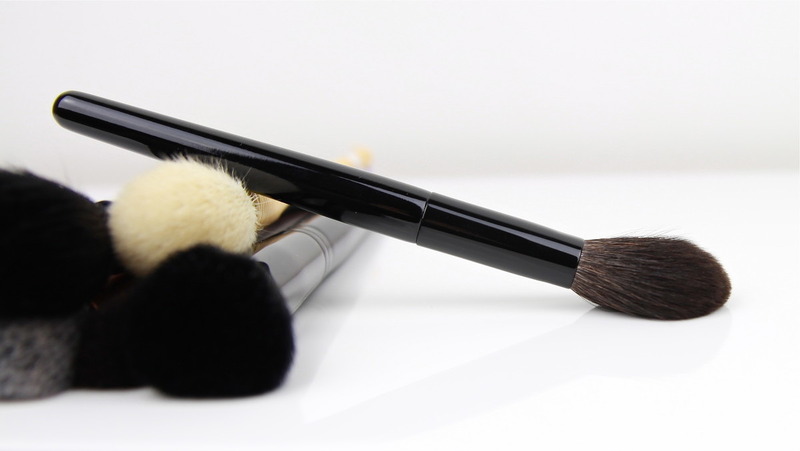 FYI: I caressed my face with this brush for a solid hour, as I wrote this review. 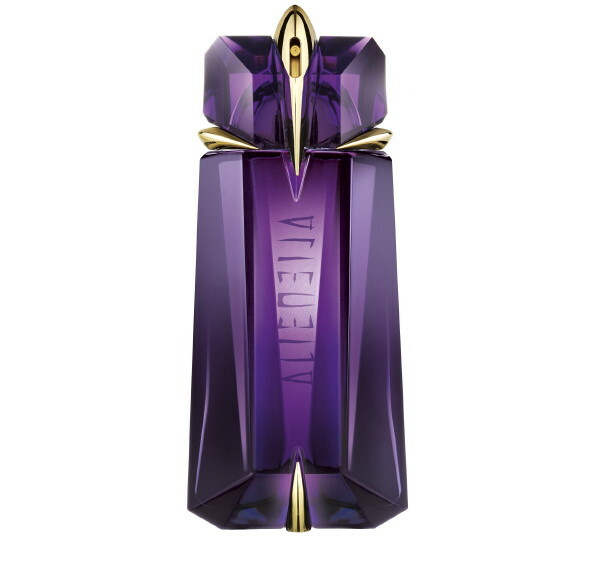 It looks nice, but it is definitely not for me at that price tag. God, I love your writing! I searched just out of curiosity the price of this brush and I just laughted. The price tag is ridiculous. Great blog post. Love it. Oh my God, you’re so funny…the brush caressing your face for an hour! After a solid hour, I was like “well, this is weird…I’ll put this brush down now…” LOL. I was so close to getting this brush the other day, but talked myself down off the cliff. I’m going to have to save if I really want it. And oh, I really want it. Especially after seeing this review and how you said it’s great for extremely pale skin. One day, she will be mine! I want it! And I love the Haku eyeshadow L for contouring and very sheer blush, but it deposits too much pigment with many of my blushes. Thus, the Suqqu cheek would probably be perfection. Yeah, I actually think it would work well for you. The Hakuhodo L is slightly more directional and smaller. The SUQQU has more give- it’s a foolproof brush, I don’t understand why I waited this long to get it! i always wanted this brush but it is so so expensive i couldn’t justify spending that much on one brush! $50ish and under is my limit for brushes haha! She is incredible, do check her out (if you haven’t already). Judging from the pictures, RMK Cheek S is a tiny bit larger than the SUQQU Cheek. Ah this is great! Thank you so much for helping! Finally a blog worth its weight in key clicks! So expertly and creatively written. Thanks for this. I’ve been toying with the suqqu as a purchase. I own 30 hakuhodo brushes and though I love their performance, despite the tender care they get, they are shedding like mad and are only 1 year old. Disappointed is an understatement when my wallet got so beaten up to buy them. Wish Suuqu were easier to get in Canada. Thank you and my pleasure! That’s so strange regarding the Hakuhodo brushes! I’ve had mine for over a year and no shedding whatsoever?! Yup I do need to call the company about the brush shedding….I’m still trying to find my receipt! Finally a beauty guru that actually responds to follower questions! What do you think of the sigma brushes? I was thinking the Mrs. Bunny set? I wasn’t really sure on which post to put my brush question, so here it is, on a post about brushes! I am looking for a domed fluffy brush with which to buff on liquid foundation and was wondering if you had a recommendation. My nose is rather narrow which puts flat-top brushes out of business, unfortunately. Thank you! How does NARS Yachiyo compare to Suqqu? It’s a cheaper alternative that I wanted to try, I primarily need it for pigmented blushes and blendability. The Suqqu is grey squirrel. It’s extremely soft and wispy. It’s like if you took a soft bunny pelt and used it to apply powder. 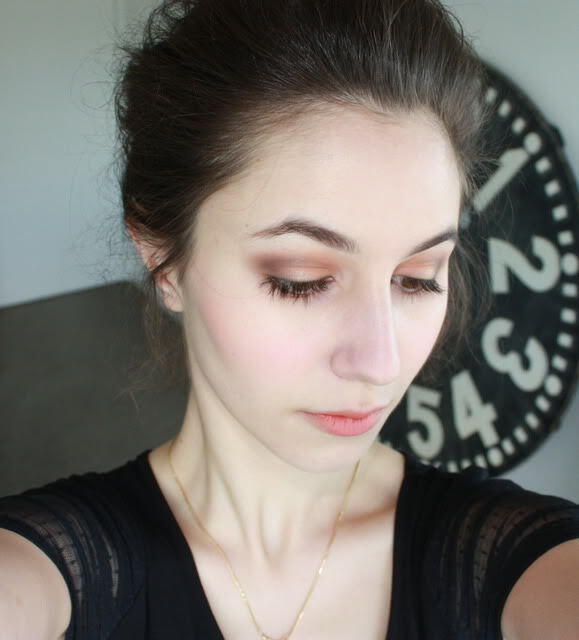 It apply very lightly and blend able. You can “build up” color. It won’t “move” your makeup underneath. The NARS Yachiyo is not comparable to the SUQQU. It’s rather scratchy on my delicate skin, but if you don’t mind that then it is functional. I purchased it, when I was in Tokyo last week, and I see what you mean with stroking your face with it for hours; I love it soo much! btw your makeup application, etc. is such an inspiration; I have learned so much from your blogpost’s and video’s ! Glad you love it, Kat! As far as I can tell, Hakuhodo doesn’t make a close dupe for the SUQQU Cheek. The only one I own that somewhat resembles the SUQQU is the Hakuhodo Eyeshadow L, but it’s much smaller and much denser. First, sorry for my bad english, i speak French …. I have the Suqqu cheek brush and i love it !!! But i have found a brush that is so soft as the Suqqu, that is the Shiseido the Makeup powder brush, it is amaizing !!!! and sooooo soft !!!!! for 50 Dollars !!! Do you know this brush ? hi, what is the difference between fake suqqu brush and authentic?